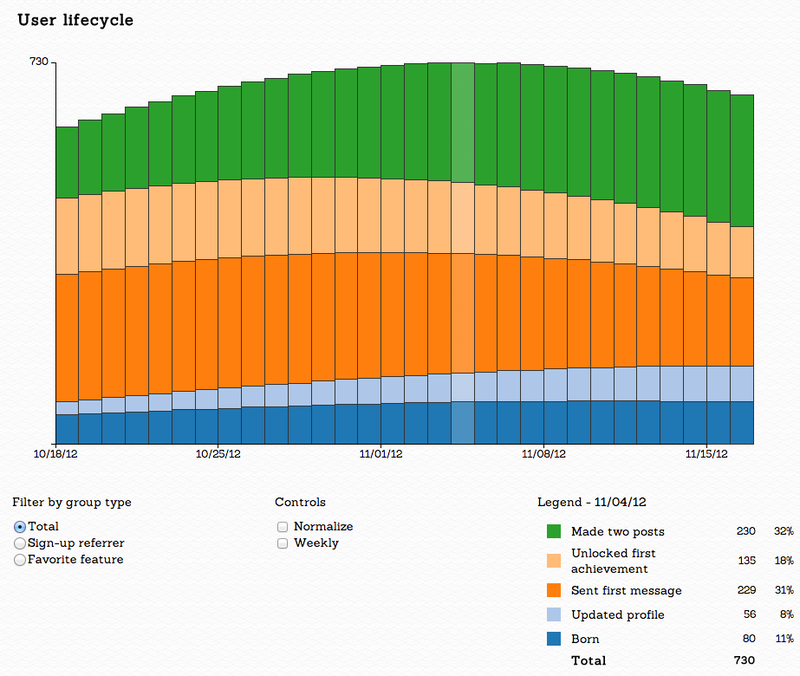 Today I've released Cohort Visualizer, a handy tool for browsing cohort datasets. This came out of a bunch of work I did recently for doing cohort analysis with mapreduce. Spreadsheets got me pretty far with visualizing this data, but I kept finding myself doing a pattern of sub-filtering and regrouping. This is my attempt to make that workflow easier. The whole project is open source and Apache 2.0. Check out the source code here. Pull requests welcome! What's next is more controls on regroupings. Stretch goal is finding a way to use Crossfilter to do the same thing.